This phone was launched in 2013. The main focus of this phone was gaming. There is no good reason to operate this phone in 2019. Technology has aged gracefully over the years and Samsung Galaxy Grand Quattro doesn’t have the hardware to upgrade. So a better idea would be to sell this phone on Cashify in 3 simple steps for the best price and buy a new phone that feels and looks more 2019. Why Sell Your Old Samsung Galaxy Grand Quattro On Cashify? 1. Identify your old device, enter details and get an instant quote. 2. Benefit from the free doorstep collection. Create an order for free home pickup. 3. Payment will be processed as soon as the old device is received and inspected. The main benefit of selling old phones on Cashify is that it cuts the middlemen and hence you get the best possible price of your old device. Everything happens from the comfort of your home and you don’t have to go anywhere. 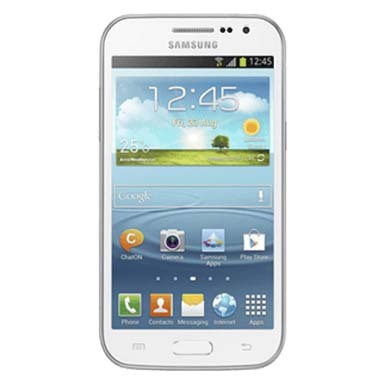 Talking of selling old phones, Samsung Galaxy Grand Quattro is one of the most sold phones. The unique selling proposition of this phone was the new quad-core processor clocked at 1.2GHz. This was a budget-oriented Android phone by Samsung. The phone has 1GB RAM and internal storage of 8GB.